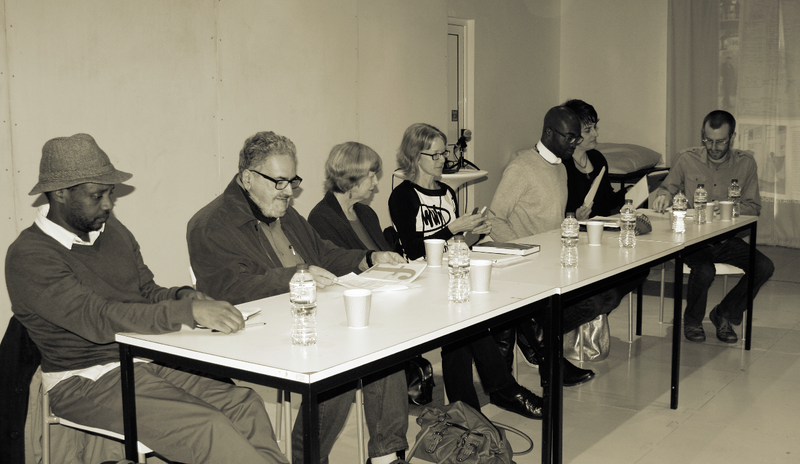 The 3rd African Popular Cultures Workshop hosted at the University of Sussex concluded with a roundtable that brought together six academics and creative writers, who research, write from and about different parts of the African continent. They gathered at a table that was not really round, to share their ideas on and experiences of African popular cultures with an attentive and curious audience of students, researchers, and academics. 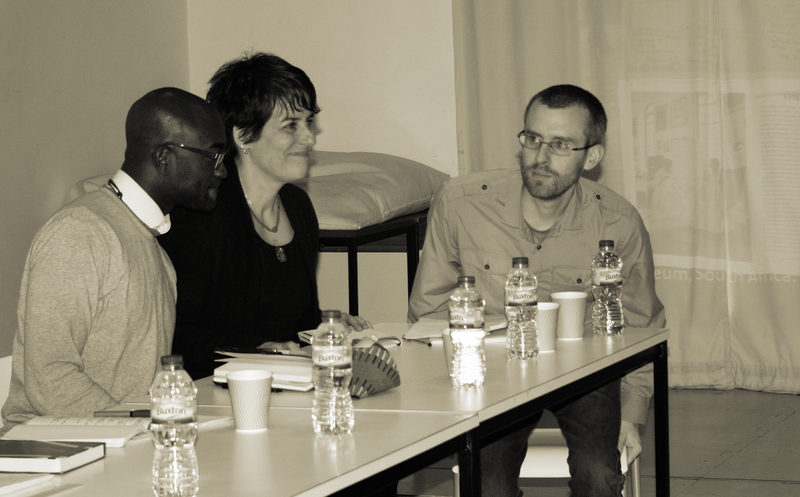 The roundtable featured Billy Kahora, writer and Managing Editor of Kenyan literary network Kwani Trust; Dr Paulo Farias, Honorary Senior Research Fellow, University of Birmingham; Karin Barber, Professor of African Cultural Anthropology, University of Birmingham; Stephanie Newell, Professor of English, University of Sussex; Inua Ellams, Nigerian-British poet, perfomer, playwright and graphic artist; and Ranka Primorac, Lecturer in English, University of Southampton. As moderator John Masterson (Lecturer in World Literatures, University of Sussex) reflected, this indeed represented “a healthy mix of artists and academics”. The roundtable investigated the relationship between popular “text” from different places and public spaces in the African continent. It addressed questions drawn from the new edited collection it launched, Stephanie Newell and Ono Okome’s (eds.) Popular Culture in Africa: the Episteme of the Everyday (Routledge, 2013), including: How and when are everyday activities constituted into artifacts? How do audiences interact? How are texts made and where? And what do we mean by the ‘popular’ and the ‘public’? Stephanie Newell inaugurated the discussion by provocatively asking whether – as there are so many differing conceptions and uses of the term ‘popular’ – we should abandon it entirely. She demonstrated the complexities of trying to categorise African popular cultures and spaces as either ‘popular’, ‘elite’, ‘locally produced’, ‘traditional’ or ‘imported’ and the overlapping, non-binary relationships between these terms. 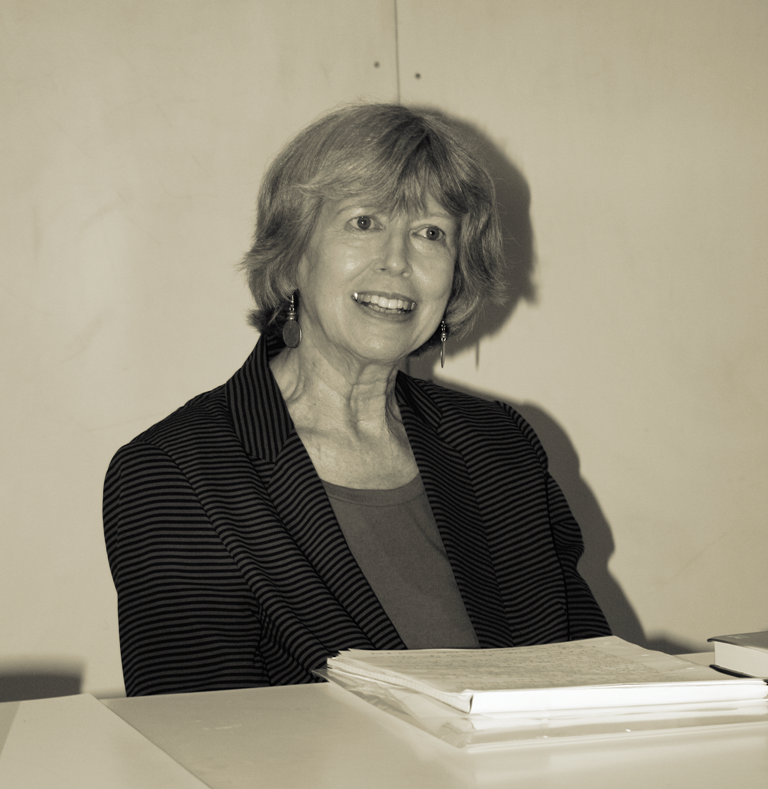 Newell reflected on how her own primary material has often been described as ‘poor-quality,’ ‘low-brow,’ ‘crap,’ ‘sensational,’ or ‘ephemeral.’ She argued that while the last two labels might be critical terms with productive value, such labels involve the imposition of universal taste onto material that cannot be universalized. Here she referred to Pierre Bourdieu’s words on taste, that we spit the unlikeable and eat the likeable, thus drawing an analogy between food and cultural products. Her presentation challenged the audience to reflect on the idea of ‘taste’ and its relationship to cultural power, the ways in which ‘taste’ might mark social and economic differences between publics, but also the ways in which it might be used as a useful discursive and self-reflexive category in the study of African popular culture. Following Newell, Inua Ellams read two poems, ‘Dear Tina’ and ‘Clubbing’, from his collection Candy Coated Unicorns and Converse All Stars (2011). The pamphlet’s blurb describes the ways in which “[c]ontemporary culture clashes with mythology as Bruce Lee angles for space alongside Prometheus” in Ellam’s poetry, and so his artistic intervention resonated strongly with questions being asked by the roundtable about how the popular might be inscribed on and entwined with the classical or traditional. Karin Barber opened her contribution with the question – how are cultural artifacts constructed out of everyday activities? Proposing the term ‘generative materialism’, Barber contended that we need to begin from below and to ask what was rejected or didn’t catch on, in order to understand the processes of genre production. She made a strong case for the ways in which this methodology might help us better understand the relationship between genre and everyday activities and the ways in which new genres might emerge from new social experiences. Barber closed with a Yoruba proverb, which she translated into English as “Not standing still is tantamount to dancing”, reflecting on the ways in which the emergence of new cultural artifacts and genres are always in process. Kenyan creative writer and editor, Billy Kahora, spoke about Kwani Trust, highlighting the ways in which the founding and development of this independent publishing house resonate with definitions of ‘popular’ shared in Karin Barber’s plenary. Barber defined the ‘popular’ as something people can relate to or that forges common experience. Kahora explained how the Kwani? journal was founded in the immediate aftermath of the Moi dictatorship, a time of huge optimism in Kenya. The founding editor of the journal Binyavanga Wainaina placed particular emphasis on engaging with the everyday Kenyan experience, constructing writing from talk, rumours or public exchange, and publishing material that was seen as non-traditional literature, including song lyrics, street art and writing in Sheng. Whereas Karin Barber in her 1987 essay wrote: “I want a definition of arts that includes decorations on mammy wagons and fancy bread labels, but excludes religious doctrine, football, and carpentry. ….” (1987, 74)” (Qtd. in Newell and Okome, 19), the intervention by Paulo Farias to the roundtable emphasised religion and football as major components of popular culture and everyday life in Africa. Farias highlighted that while football was studied in Newell and Okome’s new collection, alluding to James Tar Tsaaior’s “Football as Social Unconscious or the Cultural Logic of Late Imperialism in Postcolonial Nigeria”, he had not yet come across an essay that tackled religion. He argued for the multiple ways in which everyday life in Africa is connected with Evangelical Christianity and new forms of Islam, and raised important questions about what we might learn from studying the cultural artifacts that religion produces, highlighting a recent study of mosque architecture by Cleo Cantone. He also forged a particularly interesting link between religion and class in relation to popular culture, asking in what ways the relation between classes operates with the emergent new category of gatekeepers in Evangelical Christianity and Islam: “Who claims the moral authority to tell Muslims that their practices have been wrong?” he asked, and suggested that the relationship between popular culture and elite culture can be usefully looked at through this prism. The final speaker on the panel was Ranka Primorac. She began by highlighting that she is not sure that she studies popular literature and stressing that she thinks of herself as a literary scholar. She asked why it might be that once she started studying Zambian literature and texts no-one has heard about outside Zambia, she began to be categorized in the academy as interested in ‘popular’ texts, when in fact anything printed in English in Zambia is by definition circulating in a narrow space and to ‘elite’ local readers. Speaking about two books – Norah Mumba’s A Song in the Night (1992) and Sekelani Banda’s The Chizongwe Ethos (2012) – Primorac gave a fascinating insight into the complex questions of genre and valuing in relation to Zambian literature. She showed the different ways in which both writers offer advice and moral guidance, and through this are concerned with representing and transacting everyday life. However, she argued that these writers do not compromise aesthetics or larger questions because of that and that these remain literary texts. Through these case studies Primorac powerfully demonstrated a blurring of textual elements and showed that it is often very hard to distinguish what is coming ‘from below’ and what is coming ‘from above’. She finished by emphasising “I don’t think the category of ‘the everyday’ necessarily works as a defining term of what is ‘popular’. I think all literature is in some important senses always local and always concerned with the everyday, but I am hesitant to reduce the potential of any text to just that”. In the end, I was challenged by the various arguments the speakers put across and struck by that lack of consensus about what popular culture is. Indeed, what exactly is the ‘popular’ compared to the ‘public’ or the ‘everyday’? For example, I was left wondering why folklore, often such an active component of African people’s everyday life, is separate from the ‘popular’ and is usually researched and studied as an independent category? To me, one of the most productive elements of this roundtable was that it brought together the ‘makers’ of popular culture along with its researchers, so I could see how both sides relate to it. This revealed that whereas the producers are keen to innovate and bring the different aspects of the popular in Africa out to the world, academia is preoccupied with understanding the nature, motivations, and implications of this production, as well as with marking borderlines between terms and categories. I noticed that the artists were not as concerned with definition but instead with the means of artistic creation and propagation. Kahora, for example, in response to one question from the audience, explained that literatures might be demarcated, but in Kenya it is the middle class that controls and supports cultural production, like music. This struck me as very relevant to what Newell said about ‘taste’ and cultural power, since in this case, they will support what matches their taste, and this in turn complicates the category of the ‘popular’ even further. The question of ‘whose’ popular becomes more compelling than ‘what’ is the popular. Rehab Abdelghany has degrees from Cairo University. 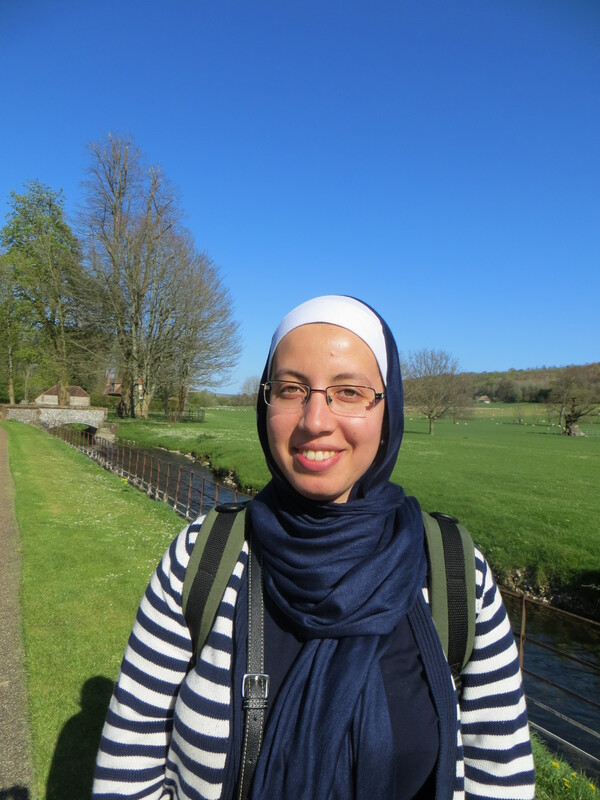 Currently, she is a PhD candidate at the University of Sussex, and is interested in African and New Zealand Maori literatures. Thank you to Grace Pavey and Sung Kyu Kim for permission to use their photos. Hi Rehab, I just wanted to say thanks for a really clear and interesting review which has given me lots to think about, especially ideas about taste, genre and newness. Thank you! Hello, Rebecca, thank you very much for your response to the review. Each of the six speakers gave a very insightful talk and no wonder we are left with a lot to think about.